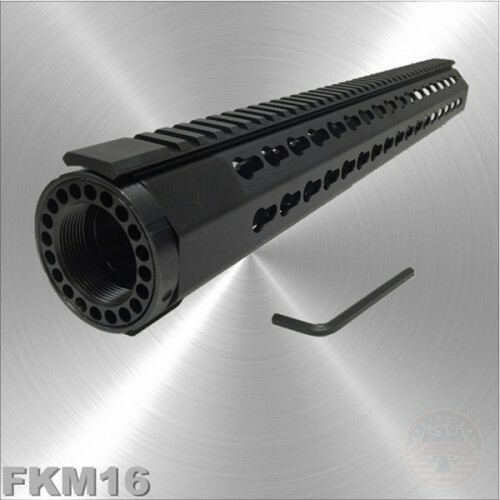 Lightweight handguard with 7 angled surfaces for attaching keymod rail sections, each with 17 holes. 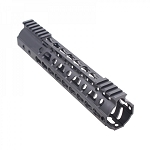 The top Picatinny/Weaver rail has 38 slots. 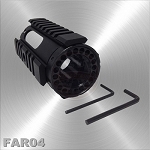 Includes Barrel Nut, Steel Jam Nut Ring, setscrew nut and Allen wrench. 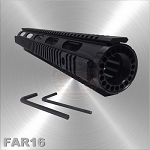 AR-15 Free Float Quad Rail Handguard Extended Length 16"
AR-15 Free Float Quad Rail Handguard Pistol Length 4"